Trump envoy criticizes Hamas for carrying out attacks against Israel while failing to invest resources in Gazans. 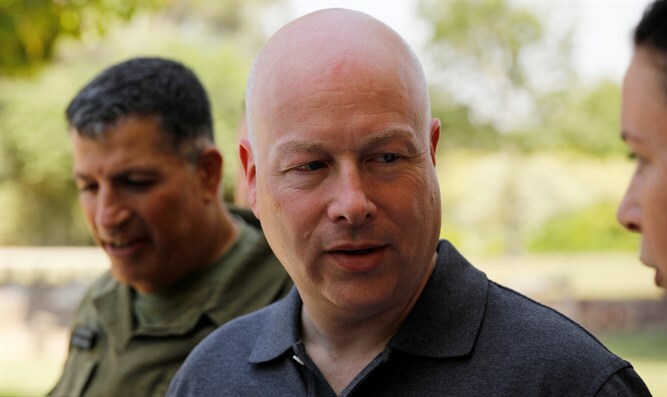 Jason Greenblatt, U.S. President Donald Trump’s special envoy for international negotiations, took to Twitter on Tuesday to criticize Hamas for the recent rocket barrage on southern Israel as well as the ongoing kite and balloon arson attacks. In a series of tweets, Greenblatt also blasted Hamas for continuing to inflict misery on the people of Gaza by failing to invest resources in their welfare. “By the end of one day (July 14), 200 mortars and rockets were fired from Gaza into Israel. Some landed in communities bordering and near Gaza and caused injuries. Hamas' terror kites and terror balloons are causing dangerous fires and millions of dollars in property damage in Israel,” he wrote. “In the meantime, the people of Gaza have little electricity, high unemployment, and continue to suffer. Hamas continues to divert desperately needed money and resources from the Palestinians of Gaza,” continued Greenblatt. Four Israelis were injured when a rocket hit their home during Saturday’s barrage. In addition to the rocket firing, terrorists have continued to fire balloons and kites rigged with firebombs and other makeshift incendiary devices into Israeli territory.